UPDATE: Police continue to appeal for any information in relation missing Middle Ridge woman Nolene Hodgson. 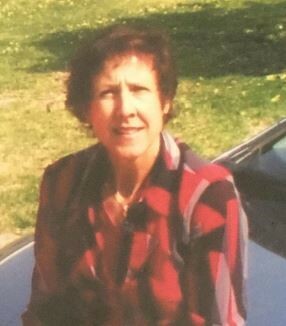 Ms Hodgson, 60, was last seen at a Rainbow Crt address in Gowrie Junction on Sunday, with police and family holding concerns for her welfare. She has not made contact with authorities, friends or family, and police yesterday issued a public appeal for information to help locate her. She is described as Caucasian in appearance, about 170cm tall with a thin build, olive complexion, with brownish/red hair and hazel eyes. Anyone with information is asked to contact police or Crime Stoppers on 1800 333 000. TUESDAY: A woman has been reported missing to police after she was last seen in Gowrie Junction two days ago. Nolene Hodgson, 60, was last seen at a Rainbow Crt address in Gowrie Junction on January 8. There are concerns for her welfare as Ms Hodgson has not made contact with her family or friends, and her behaviour is considered out of character. Ms Hodgson is described as Caucasian, about 170cm tall with a thin build, olive complexion with short brownish/red hair and hazel eyes. Anyone who may have seen Ms Hodgson or has information about her whereabouts is asked to contact Crime Stoppers on 1800 333 000 or their local police station.